The XLR connections with independent volume and 48V phantom power support professional audio inputs, so external sources including wireless lapel microphones, booms and sound desk feeds can be connected easily. 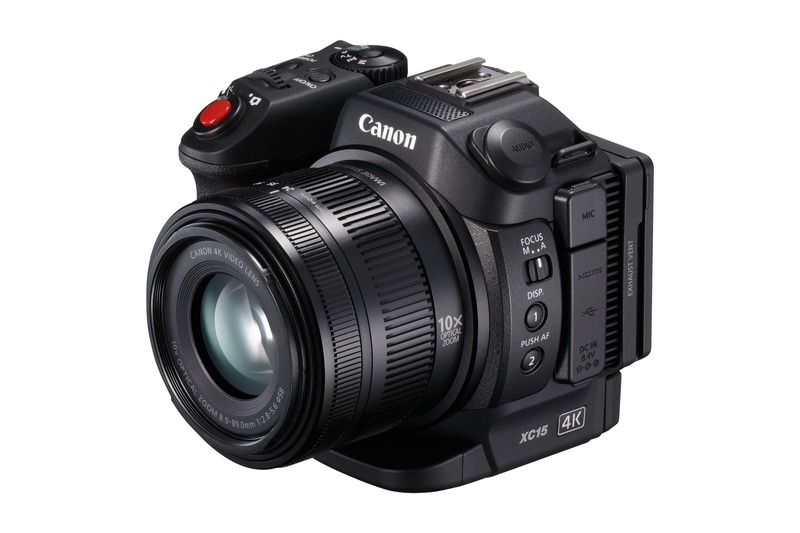 Frame rates of 24.00P / 25P in 4K UHD, and up to 50P in Full HD, together with the versatile XF-AVC file format and a Cinema EOS ‘Look’ setting, make it easy to integrate footage into film workflows, while a built-in waveform monitor provides confidence in the image exposure during capture. 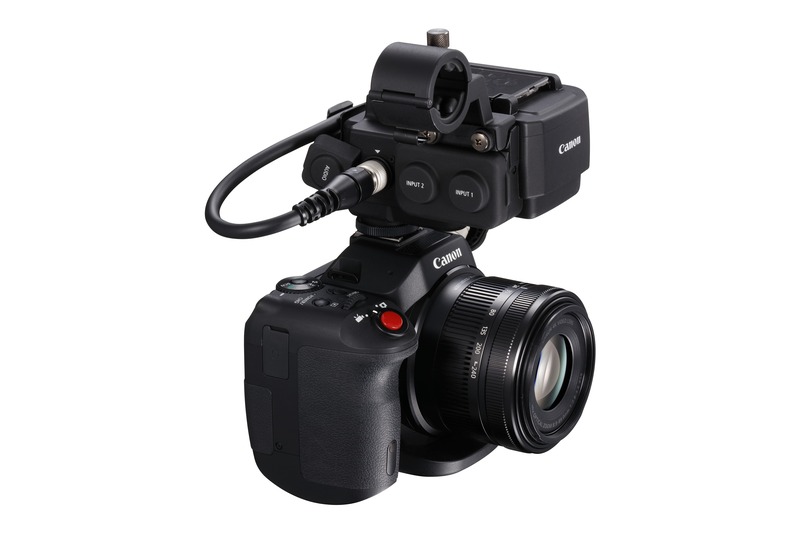 A compact, lightweight body keeps shooting discrete and unobtrusive, and also allows the camera to be installed on rigs, drones, and remote brackets with ease, whilst the ability to capture 12Mpixel stills, or shoot in various lighting with 20,000 ISO and a built-in ND filter, and 10x optical zoom provide maximum versatility. Conveniently shoot 4K UHD to CFast 2.0™ and Full HD/stills to SD cards while letting the quick autofocus system ensure the subject is sharp. The included loupe with dioptre, vari-angle LCD and rotating hand grip allow for a variety of comfortable shooting positions while the built-in dual band WiFi enables easy remote control.